Foreward : The Future of Mobility & Media in Connected Shared Autonomous Cars — Is Amazing. We are at an exciting time where the automobile and transit are rapidly evolving because of ridesharing and automation. In fact, McKinsey is predicting that by 2030, the entire ridesharing ecosystem will be worth over $1.5 Trillion. Even with the capitalization of companies like Uber, Lyft, and Didi, it’s barely scratching the surface of the change that will come. The reason, beyond the obvious technological advances, is that the automobile is undergoing a shift in its very function. This shift is not much different than what happened to the telephone. When Alexander Bell invented the first telephones in the 1870s, it would’ve been difficult to imagine its sci-fi like evolution to becoming one of the most powerful and connected tools humankind have ever built. Cordless phones used to be a big deal, yet it was just the start of the telephone’s most drastic transformation into the modern smart phone. I was asked today “what is the end game for Vugo?” a startup that my co-founders and I created that helps rideshare drivers earn additional income via advertising while entertaining passengers with premium content. The answer is simple. Riding is the new driving and Vugo wants to create the best passenger entertainment experience. Riding is the new driving and Vugo is creating the best passenger entertainment experience inside for-hire cars. Most people don’t think about the future of people interacting with cars, unless you work at Delphi or another OEM infotainment supplier. But, the way people interact with cars is about to undergo a seismic shift that will have a serious impact on all of us. Well, don’t worry, the passenger entertainment experience is what keeps me up at night and I want to share my predictions with you, but first let’s talk about why I care about the passenger entertainment experience. People are products of their environment… I was a digital strategy manager at an advertising agency in Chicago and moonlighted as an Uber driver on nights and weekends. I soon realized that my clients, would love to get in front of my Uber passengers contextually; meaning at the right time, right place, with the right message. I was fascinated with influencing passengers in the buying stage of the purchasing funnel, and in the real world. When you live in a city like Chicago or NYC you’re exposed to “Taxi TV experience”, which is not only boring, it’s mind-numbing, but to a digital marketer — I can’t imagine why taxi “advertising” companies have allowed an opportunity to contextually connect to consumers in a relevant and meaningful way be wasted, the only thing I can think is that TV networks use “taxi advertising” as a loss leader to promote their programming (Really, how many times can you watch Jimmy Kimmel or Fallon promos?). Taxi fleets don’t get paid for advertising by taxi advertising cos, in most cases, I discovered that their advertising “subsidizes” the cost of payment processing for fleet owners. Similar to how taxi dispatching was broken, I discovered that the best example of in-car advertising was broken as well. What better industry to disrupt — so I decided to do something about the state of in-car advertising, by creating a way for relevant entertainment and ads to be delivered to passengers in context before they make buying decisions, bringing analytics and targeting from digital online advertising into the real world for brands and advertisers. In the process I can help drivers of ridesharing services like Uber earn more money for work they are already doing. Drivers welcome our solution because Uber and others continue to cut rates for their drivers. Vugo’s TripIntent technology delivers video and display content using the context of a passenger’s trip derived via live trip signals. These allow us to differentiate between trips to the grocery store for shopping and trips to a workplace for a daily commute — even if the destination is the same. We can apply our technology to all trips, even trips where an immediate destination is unclear. Not only can we deliver relevant ads, we can also deliver relevant entertainment as well. What does that mean for most of us today? For advertisers it means that if you’re MillerCoors, we are going to help influence passengers of ridesharing services to purchase your beverage brands…immediately before “beer occasions (And more importantly beer decisions); Cubs Games at Wrigley Field, Happy Hours, NYE and every Friday & Saturday night, and the all American 4th of July. This experience is familiar to how most of the USA, uses for-hire car services today; for special events, airport transportation, and drinking responsibly — but we don’t think ridesharing and self-driving cars are stopping there. How do people use ridesharing today? Just like a car. Last year Vugo tracked over 10,000 trip destinations via aggregated and anonymous data. We discovered that passengers of ridesharing vehicles go everywhere people with cars go; work commutes, doctor’s visits, the grocery store, bars and restaurants and more. People are using ridesharing for more than just bar hopping and airports. Vugo is based in Minneapolis, Minnesota. We live in a place where personal car ownership is expected, because if you’re exposed to the elements you might freeze to death 6 months out of the year. So when Vugo pitches to investors or participates in startup competitions in Minnesota, we need to challenge the idea that Ridesharing and in a greater part, for-hire transportation is only used when when traveling or drinking responsibly. We recognize that the old guard view’s Uber & Lyft as just a taxi service… but Millennials see ride-sharing, and car-sharing to a lesser extent today as an opportunity to replace personal auto ownership, a new solution for comprehensive mobility, because ridesharing is being used for tons of activities and as a primary source of transportation for many consumers. Which brings me to the next point — retail. Why retail matters, for in-car entertainment and advertising. 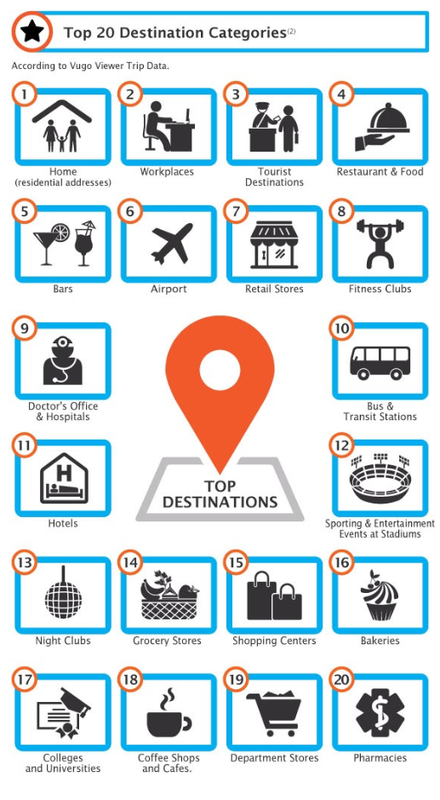 Over 50% of the destination categories from ridesharing trips arrive at a retail location; from apparel stores, cafes, fitness centers, malls, grocery stores, bakeries, doctor’s offices and pharmacies beyond. Brick-and-mortar retail has a unique opportunity to sponsor rides instead of validating parking. Especially, during the shopping season and big sales days like Black Friday. Not only that, but with Vugo’s competitive targeting you can sell products to passenger’s before they make purchasing at a retail store. For example, an online jeweler can entice a consumer on their way to a jewelry store. eCommerce & mobile commerce is powerful when offers are displayed to a captive audience. If you look closely, every one of Vugo’s top destinations corresponds to a digital place based media network; take doctor’s offices and Context Media or Health Media Network for example, but Vugo get’s these same audiences in a captive environment for 14–21 minutes each way, with information about where they came from and where they are going. Ford, Google and Uber all see the value of entertainment and advertising in the new world of autonomous cars. As evidenced here, here, here and here. Asked by a member of the audience how giving up driving will change in-car entertainment, Urmson said the car will be like an entertainment room. “Instead of taking a four-hour flight to San Francisco … if you get in a car, maybe it takes you six or seven hours, but you get to enjoy a couple of movies and sleep in the car,”… — Chris Urmson, director of Google’s Self-driving car program in Adweek, 5 Things Google’s Director of Self-Driving Cars Has Learned So Far About the Vehicles. How is auto transportation going to change ? People are going to text, use mobile devices, put on make up, eat fast food, listen to music, sleep — these are things people already do while driving…but now — they will be able to do so safely. The biggest difference to the passenger experience will be entertainment, the Tier 1 suppliers for OEM suppliers who have produced below consumer electronics quality entertainment systems in the past will now be facing competition from Silicon Valley and beyond. This industry needs disruption, I mean, Delphi’s infotainment page has a photo of a digital CD player that reminds me of when I learned to drive… in 2002. ( Link: Infotainment — Consumer Auto, Infotainment — Commercial Auto). People will want to watch movies, films, TV shows, and viral videos en route to destinations both long and short. People will not want to pay for content or entertainment. If you prefer to listen to broadcast radio in your car, you’re the target consumer. Some people wont stand for advertising no-matter what. They shouldn’t be choosing transportation on price, Black Car level service will likely remain ad-free. 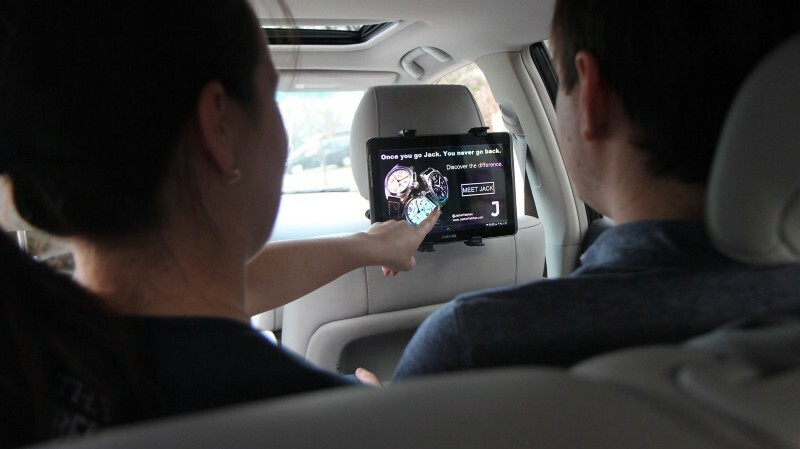 Passengers will be able to interact with entertainment, click on screens to learn more about a product, subscribe to a service, and make purchases inside the vehicle. From buying tickets to an event, taking advantage of a groupon-like coupon, buying an on-demand mattress, or signing up for food delivery. Analytics related to ROI and engagement will be delivered to advertisers. We may see a shift away from urban areas as the cost of Urban areas increase, and longer commutes become more tolerable, by using them for entertainment, offices, or sleeping. 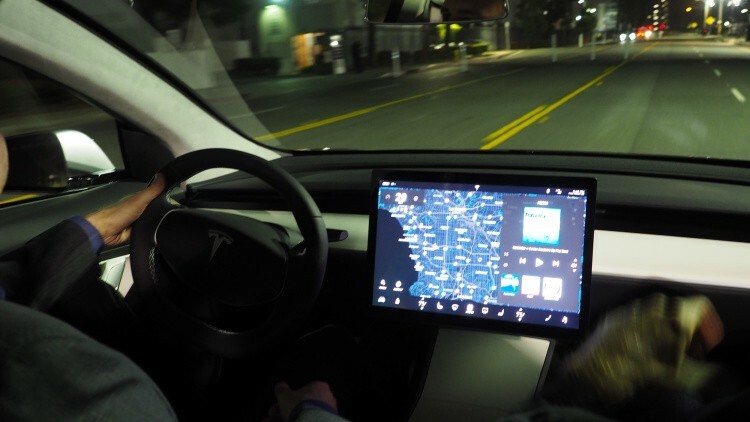 We will see much larger screens, bigger than Tesla’s displays in cars — we are already seeing this in via Tesla’s new model 3. Potentially, windshields becoming viewing screens. Cars will be optimized for viewing pleasure, meaning people will sit in the back seat to stretch their legs and enjoy entertainment. Passengers will begin using their cars for regional trips. Fewer people will choose to suffer thru the TSA to fly from LA to SF or Minneapolis to Chicago when they can choose to overnight in their car after enjoy a movie or watching their favorite TV shows. Which means cars will be optimized for 1–2 people to sleep, while commuting regionally up to 500–600 miles, even longer trips between New York and Chicago are possible with 1 or 2 stops. I think airlines might be in trouble. For-Hire Car services will be the first to adopt self-driving cars, they will also be the first to want to fully monetize their assets with advertising. 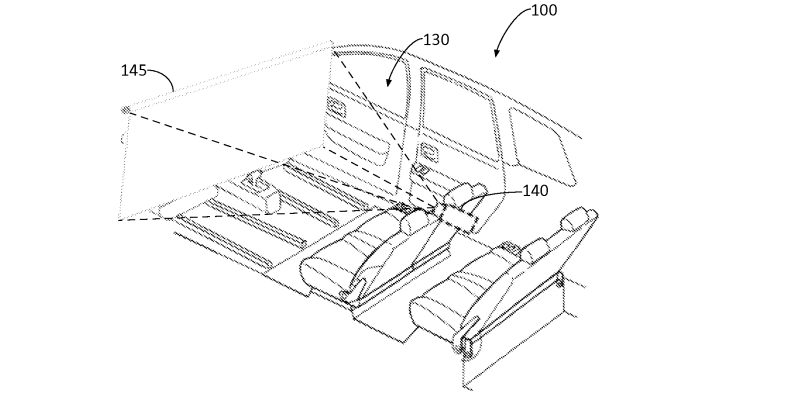 Passengers will select transportation based on the entertainment options instead of on price. Game of Thrones while driving home anyone? What do brands and advertisers think? The rise of on-demand services presents a unique opportunity to own the passenger entertainment experience in automobiles and provide a digital mass media channel more powerful than radio — without the three biggest challenges facing digital advertising. Vugo sells advertising like television in 30 second “views”. We don’t have ad fraud and more importantly, passengers cannot access entertainment or content without watching advertisements. 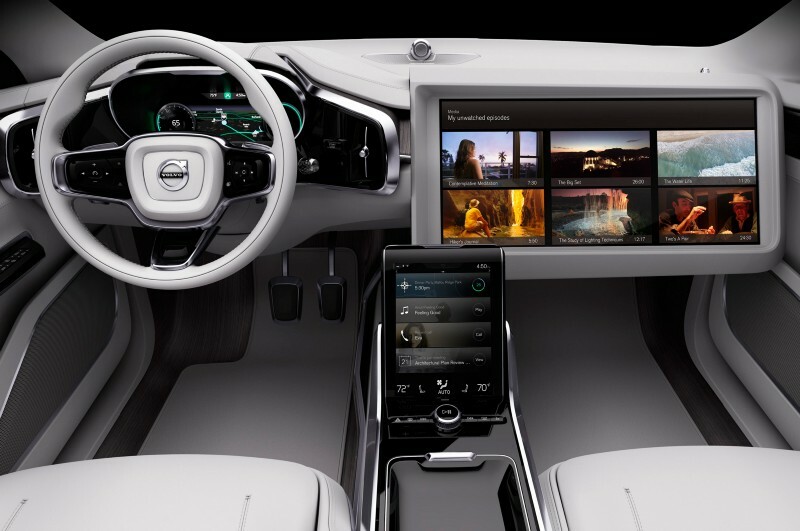 The connected car will join ranks with the television, personal computer and mobile phone as a digital mass media channel for content and advertising. How do we get from here to there? Vugo is working towards becoming the software as a service advertising solution for self-driving cars, meaning that we want to become the OEM solution for for-hire transportation when it comes to advertising technology. We will continue to work towards being an after market supplier of advertising solutions for drivers and fleets in ridesharing and traditional for-hire transportation via our mobile application for drivers. Vugo’s Mobile Application — For for-hire drivers and fleets — Source: Vugo, Inc.
Vugo is building the software the determines the most relevant entertainment and profitable advertisements for any given trip — anywhere. We are proving this technology today, by helping drivers of for-hire car services like Uber, Lyft, Juno, Taxis, Airport Shuttles and even non-emergency medical transport earn incremental ad income for work they are already doing. We believe that with over a million for-hire cars making hundreds of trips weekly, the opportunity today is huge and will only grow with the adoption of self-driving cars. The average American driver commutes for one hour each day. There are millions of for-hire drivers in the USA today (Only about 55,000 have advertising screens, mostly to subsidize credit card payment processing, not to maximize advertising revenue or the passenger experience). There will be millions of self-driving cars in the future, many of which will be adopted by for-hire car services first to reduce the cost of transportation. The connected car as a digital media channel is a billion dollar opportunity. We cant do this alone. Vugo is a startup. We are seeking partnerships to help us make the passenger entertainment experience as powerful of channel as the digital channels that came before it; television, computers, mobile phones. Ridesharing Drivers — You make this all possible. Brands, Ad Agencies & Ad Networks — Those that want to work with a new digital media channel to reach consumers in the buying stage of the purchasing funnel. Content Rights Holders — People who want to distribute genuinely entertaining content via a new mass media channel of the connected car. Retail — We think that the future will be interconnected, and we can bridge the advertising gap between the connected car and destination. 50% of all ridesharing trips end at a retail location. Talented people — We are seeking those that can help make Vugo’s vision for the passenger entertainment experience a reality potential advisors and employees. If you found value in this article, it would mean a lot to me if you hit the recommend button! Or highlight some text and share it via Twitter! James Bellefeuille is co-founder of Vugo, a in-car entertainment and advertising startup. You can sign up to be a driver or advertiser at www.GoVugo.com, Follow our start-up story @VUGO or @JLBellefeuille. You can Email James@GoVugo.com for comments, corrections or just to connect.